We did it! 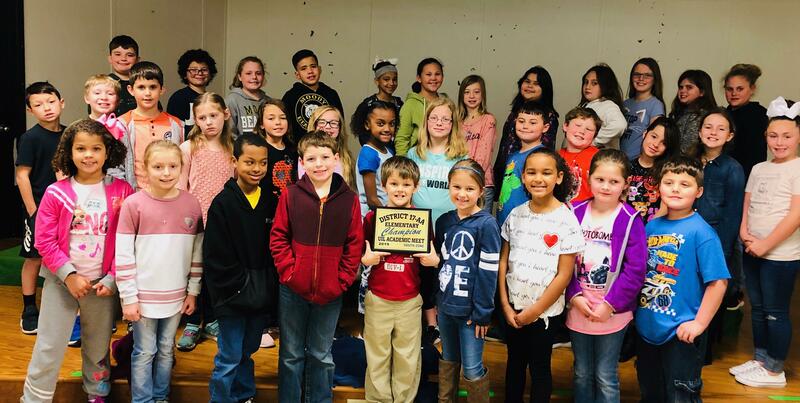 Moody Elementary is the 2019 South Zone District 17-AA UIL Academic Champions! This is a new achievement with the elementary earning 373 points. This victory comes after much work and determination from our students and staff. We knew that our past UIL academic meet results were not an accurate representation of the students we have at Moody Elementary. Beginning in 2016 we developed campus and district wide goals along with staff expectations. We encouraged and monitored participation from our student body. Practice time and staff training was provided to understand the UIL events. UIL expectations were built into our schedule with no loss in instructional time.The district leadership and School Board have been supportive of our focus on Academic UIL by providing event coaches a stipend and approving an early release day for the elementary to host the UIL Meet. The staff have worked as a determined and focused team to prepare students to be successful. The students...well, they are the best and we are glad that we helped them show it!